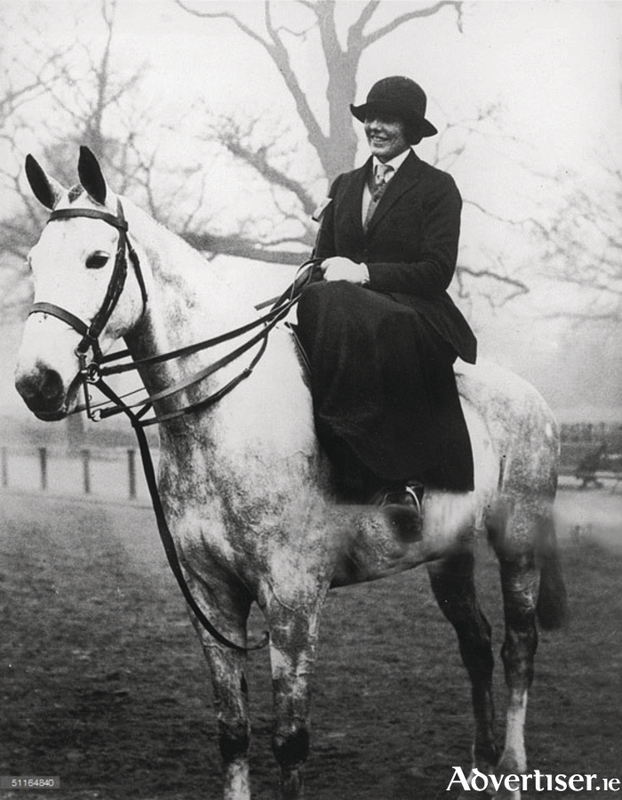 Lady Christobel Ampthill, always rode side-saddle even into her eighties. I do not know the statistics, but I feel sure that the greatest number of our continental visitors come from France. During the summer you hear and see a lot of French people clutching maps of our small city, wandering about in groups; or lines of young students talking and gesturing happily among themselves, not paying the least attention to their guide. The French are not operatic like the Italians. They share beautiful sounding words; but the face is serious. I feel there is something of Old Europe in the French language. One of the people responsible for some of this pleasant engagement between the French and ourselves, was the late Michel Déon. A very successful writer, Michel lived with his wife Chantal at the Old Rectory at Tynagh, Co Galway, for more than 40 years. The Déons moved to Ireland from the Greek island of Spetsai in 1968, so their children could attend Irish schools. Their daughter Alice was a boarder at Our Lady’s Bower in Athlone. Their son Alexandre attended Portumna Community school. Sadly Michel Déon died last December. The recent Cúirt festival paid tribute to his extraordinary talent, and to his generosity of presenting his large book collection, of some 7,000 titles, to the city libraries. His book The Purple Taxi was made into a popular film in France in 1977. It was filmed luxuriously in an Ireland of wild heather moors, where, under blue skies, the shooting and fishing was always good, and beautiful women chased foxes riding side-saddle with handsome men. * It was shown again at An Taibhdhearc last Tuesday week. Déon cheerfully pays up, and the conversation turns to Lady Christabel Ampthill, who in the late 1930s came to live in Kinvara. She bought the ruined Dunguire Castle, refurbished it to barely livable standards, and spent her winters hunting, riding side-saddle with the Galway Blazers or the Co Clare Foxhounds. In her young years she fearlessly took her own line across country. She was very popular and well respected in south Galway, particularly by the nuns whom she helped get their pensions. ‘As soon as she arrived in Kinvara everyone was at her beck and call. A word from her and the plumber, the electrician, the roofer, the mason, the carpenter would be up there at a moment’s notice.’ Déon wondered if anyone dared ask to be paid. Rumour had it that after she had escaped from drowning, she had summoned her solicitor from Galway and dictated her will. One of the clauses specified that after her death her corpse was to be thrown to the hounds. Despite her courage, however, Christobel never fully recovered from that fall. Next week: Why the beautiful Lady Christobel Ampthill came to live in Kinvara. NOTES: *The film, with an amazing cast, including Charlotte Rampling, Peter Ustinov, Philippe Noiret, and Fred Astaire, did not make a lot of sense; but its scenery seduced the French to come to Ireland and see for themselves. ** Translated by Clíona Ní Ríordáin Horseman Pass By! is published by The Lilliput Press, and on sale €12. Michel Déon has written more than 50 books, and plays, including Les Poneys sauvages (The Wild Ponies ), and The Foundling Boy. His Un taxi mauve received many awards. His novels have been translated into numerous languages. He was an elected member of the Académie Francaise. Irish - is it time to declare a language emergency?